We are a leading Manufacturer of handwheels, position indicators and gravity indicators from Kolhapur, India. Owing to our enriched industry experience, we are devoted towards offering a wide variety of excellent quality Handwheels to our clients. 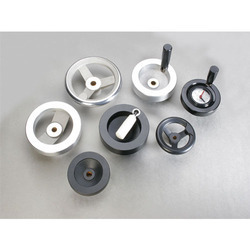 Our provided hand wheel is well designed and manufactured using high grade basic material and latest technology. Offered hand wheel is highly appreciated by our clients owing to its durability and superior quality. Moreover, to avoid any flaws, our quality controllers check this hand wheel on different quality parameters. Handwheels are Die cast in Aluminium alloy, meticulously designed, with optimum & safe sections, imparting strength & rigidity. Aesthetically appealing with superior finish and fine quality. Handwheels are available in three styles - Solid, Two Spokes & Three Spokes. In Texture Black, Matt Black powder coated finish or in bare Aluminium sand blasted - Rim Polished finish. Handwheels can be supplied with pilot bores or with bores to your specifications. Our organization is offering a qualitative range of Position Indicators to our valuable clients. It comes with support of winding temperature indicator and oil temperature indicator. It has wide application in the industry for controlling actuator valve & different types of gate. In addition, these products are available with us at economical prices. Offered products are delivered at respected clients’ premise within committed time. Position Indicators are suitable on passing through spindles to give direct reading on position of a machine component. 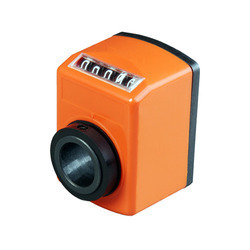 Mechanical Digital Position Indicators are shaft driven mechanical measuring devices. 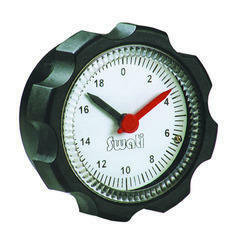 Each indicator incorporates a geared number wheel set. Numerals change along the reading line as the activating shaft on which the indicator is mounted rotates clockwise or counter clockwise. Gravity Indicators offered by is a kind of regulating device. It consists of a balance weight mounted on a spindle. High quality material is used to manufacture the offered range. Our gravity indicators are ideal for handling fluids with a large viscosity range. These indicators can be used on control spindles with positions ranging from horizontal to incline. Gravity Position Indicator is a regulating device. The movement is housed in a sealed case. It consists of a balance weight mounted on a spindle. Mounted on the weights are several gears. By rotating the gravity position indicator, the spindle also rotates, the rotational movement is transferred through the gears mounted on the weights to the pointers. These indicators can be used on control spindles with positions ranging from horizontal to 60º inclined. Gravity Indicators are most accurate when used on horizontal control spindle, the precision decreases as the incline increases. Gravity Position Indicator can be supplied with or without a Handwheel.